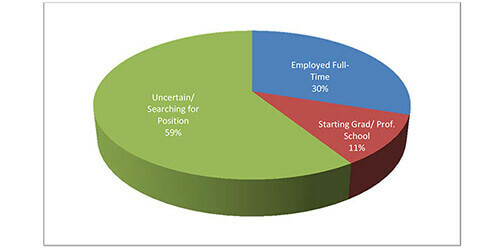 Students receiving their baccalaureate degree at May 2014 Commencement were asked to complete a brief survey about their employment status at the time of graduation and their perceptions their experience at Monmouth University. What are the graduates’ plans right after graduation? 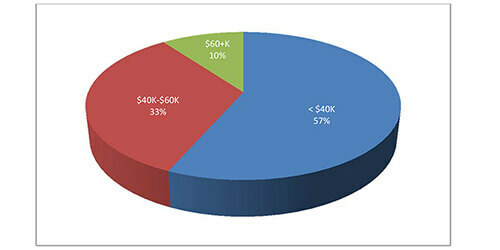 What are the reported starting salaries of those who had obtained a full-time position by the time they graduated? The following “word cloud” graphically displays the final thoughts the new graduates provided about their Monmouth experience. The larger the word, the more frequently it was mentioned in the comments. 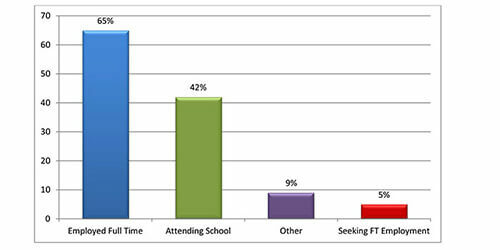 What was the Class of 2013 doing 6 months to one year after graduation? 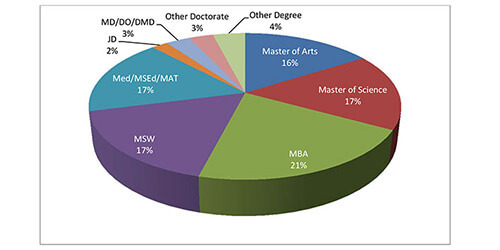 What types of advanced degrees is the Class of 2013 pursuing?